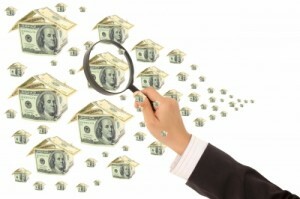 Reverse mortgages aren’t new, but the shifting perspective on them certainly is. After undergoing various regulation changes the past couple years, everyone is taking a second look. Real estate agents are seeking more information on the Reverse Mortgage for Purchase so they can offer this option to their senior buyers. Adult children are realizing the myths they’d heard over the years are just that – myths. And now retirement experts are suggesting adding home equity into the equation when helping retirees plan for their golden years. Reverse mortgages are very versatile when it comes to ways to access funds, but this article is going to focus on one that is quickly gaining in popularity – the Reverse Mortgage Line of Credit. What is a Reverse Mortgage Line of Credit? The line of credit option allows homeowners to tap into the equity of their home and have access to the funds whenever needed, but unlike a lump sum or monthly payments, they don’t have to withdraw any funds at all and can keep it as a safety net. Or the funds can be used when needed to supplement retirement income. The options are endless. How is the amount on a line of credit determined? Just like all reverse mortgages, the amount is determined based on the age of the borrower and the appraised value of the home. The older the borrower and the more the home is worth, the larger the line of credit will initially be. Borrowers also are not required to use all the available equity in their home as the line of credit, and they have options to combine it with other funding sources such as monthly installments or even a home purchase. Will the line of credit funding amount ever change? Yes and no. Unlike other reverse mortgage funding options, a line of credit will increase at a compounding rate determine by HUD – and on the flip side, it will never decrease even if home values depreciate. Why get a Line of Credit now rather than wait until I’m sure I need it? Retirement experts are recommending to many clients to include the reverse mortgage line of credit in their retirement portfolios from the get-go for various reasons. One, the housing market is strong right now and appraised home values are high. Two, as the years go on, these programs change and it may not be available in 10 years, but anyone who has an already established line of credit will always be ‘grandfathered’ into the program, even if it is eliminated in the future. And three, in the case of economic downturn where investments are affected, having the line of credit immediately available can be a future safety net. Is a Reverse Mortgage Line of Credit FHA Insured? Typically yes, as long you are working with a reputable reverse mortgage lender, the line of credit will be FHA insured just like any other reverse mortgage product. This means there are protections and guarantees in place for the borrower that will never falter. Reverse mortgage are available to seniors 62 and over throughout Colorado and Wyoming.